[JURIST] Egypt’s National Council for Human Rights [official website] reported on Sunday that at least 2,600 people have been killed by violence in the 18 months following the military ouster [Guardian report] of Mohamed Morsi [BBC profile] in 2013. Head of the agency Mohammed Fayeq told reporters that the 2,600 casualties included 700 policemen and 550 civilians killed between June 30, 2013, and December 31, 2014. 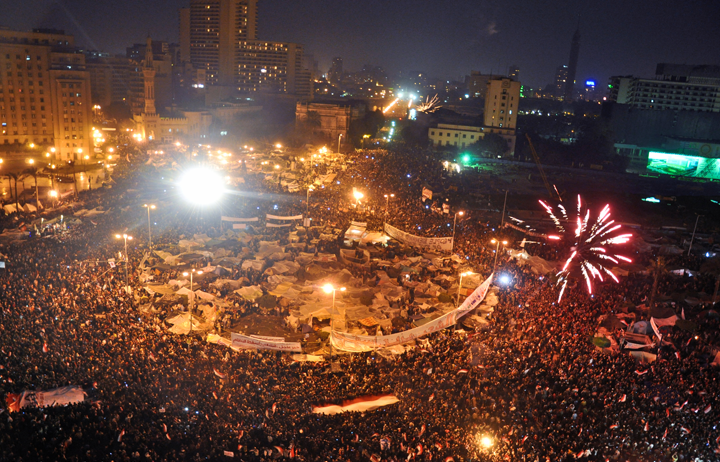 The military overthrew Morsi on July 3, 2013, during massive protests calling for his immediate removal. Islamists supporting Morsi continued to protest in the following months. The protests came to a breaking point [NYT report] when, on August 14, 2013, police attacked two large Islamist protest groups, killing more than 600 people. Protesters retaliated by attacking police stations and churches. Since the incident, Egypt has taken a harsh stance on punishing Morsi’s Muslim Brotherhood [BBC backgrounder], arresting thousands of supporters and sentencing many to death. Egypt’s tumultuous situation with the Muslim Brotherhood and Morsi supporters continues today. Earlier this month an Egyptian court sentenced [JURIST report] 30 members of the Muslim Brotherhood to life imprisonment on charges of violent behavior. Also this month an Egyptian court sentenced Morsi [JURIST report] and more than 100 others to death for their involvement in a mass prison break in 2011. The prison break occurred during the country’s 2011 uprising that ousted then-president Hosni Mubarak. In April Human Rights Watch said [JURIST report] that the trial of Morsi was “badly flawed” and compromised by due process violations. In Feburary an Egyptian court confirmed death sentences [JURIST report] for 183 supporters of the Muslim Brotherhood and Morsi. The men were convicted in December 2014 of playing a role in an attack on a police station in the governate of Giza, known as the “Kerdasa massacre,” which resulted in the death of 11 police officers and two civilians.